Virginia Baxter is the only witness still living who can vouch for the authenticity of Lauretta Trent's will. Lauretta Trent, a wealthy widow, is also still living. But for how long? Someone has been peppering the spicy food Lauretta loves with arsenic. Could it be the same someone who tried framing Virginia Baxter for drug smuggling? Lauretta doesn't trust her greedy heirs. But could a scheming servant be behind a master plan to fleece her estate? It all seems to fit. But when Lauretta is murdered on the highway, all the evidence places Virginia Baxter squarely in the driver's seat. Confused? Just think how Virginia's lawyer, Perry Mason, must feel. 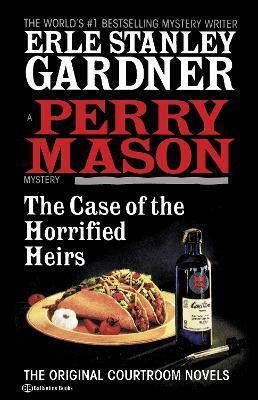 Erle Stanley Gardner is a master of American mystery fiction. A criminal lawyer, he filled his mystery masterpieces with intricate, fascinating, ever-twisting plots. Challenging, clever, and full of surprises, his are whodunits that have delighted mystery aficionados for more than 60 years.